You might be saying, “Well, if I’m about to open up my own car wash, of course I’m ready to run a business!” For many small business owners, including those who operate car washes, their enthusiasm exceeds their knowledge about running a company. You might be too busy dreaming of the thousands of dollars you’ll make that you forget about what really matters: the nuts and bolts of operating a business. And there are many nuts and bolts to consider. Car washes differ from other types of small businesses in that you need to enjoy working with your hands and feel comfortable making repairs to expensive equipment. As the car wash owner, you’re responsible for making sure everything runs smoothly. Your employees will turn to you for guidance when something goes wrong. Are you ready for that duty? There are some aspects of running a car wash that are common to other types of small businesses. For instance, you’ll have to keep accurate financial records. You’ll also have to tolerate taking risks financially – if the venture doesn’t become successful, you’ll lose quite a bit of money (either yours or your investors’). Also, you’ll need to work very hard to be successful. What kind of hard work will you need to do? You’ll have to work long hours, whether they’re spent doing repairs or balancing the books. In addition, you’ll be in charge of the marketing efforts. Even if you decide to hire an outside marketer, you’re the one who has final say over what techniques and campaigns he or she will use. Ready to Open a Car Wash Business? If you’re considering starting a car wash business, your first big step will be getting the right car wash equipment. The profitability of your business will largely depend on the efficiency of your equipment. 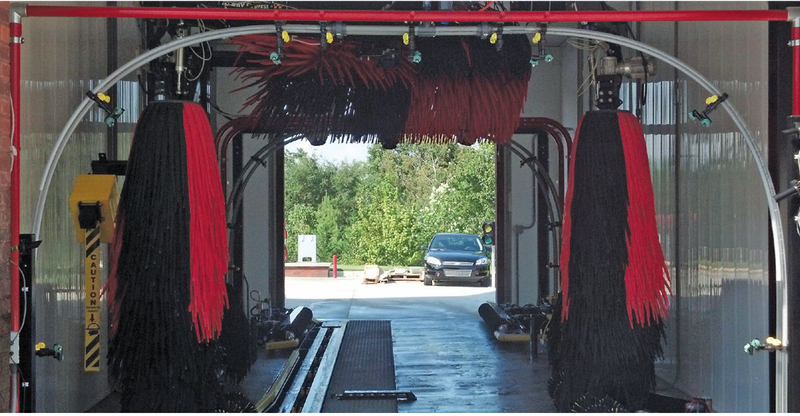 At MacNeil Car Wash Systems, our equipment is engineered to meet the demands of a busy, growing car wash business. These rugged systems are purposefully designed to give you years and years of constant uptime. Contact us to receive a no-obligation quote to open a car wash or for further information about our quality MacNeil car wash equipment .